Heat oven to 350°F. Grease or spray 8- or 9-inch round pan. Separate dough into 5 rolls. Unroll rolls. Cook bacon until crisp. 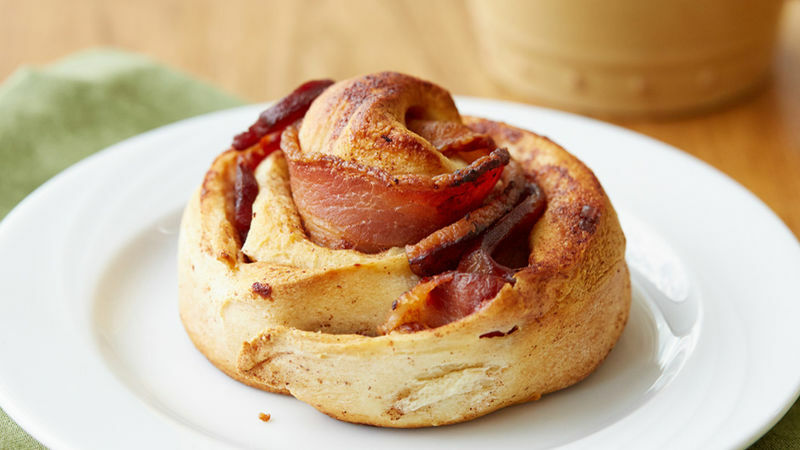 While bacon is still warm, place 2 slices bacon on top of 1 unrolled roll; roll back up. 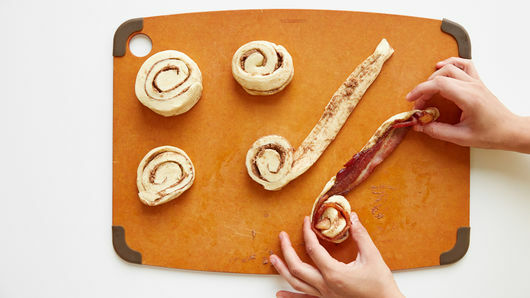 Repeat to use up rolls and bacon. Place cinnamon rolls in pan. Bake 25 to 29 minutes or until golden brown. Spread with icing; serve warm. For even more bacon goodness, use thick-cut bacon in this recipe. To save on fat and calories, use turkey bacon instead of pork bacon. Tip: Bacon grease is a mess. For easy cleanup, carefully pour it into a “bowl” made of aluminum foil, then fold in edges and toss once grease has cooled. More smart foil tips.